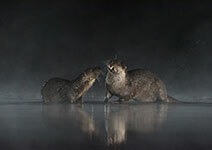 In recent years the otter has made a very good comeback to the rivers right across the country however from the years of persecution it has made them incredibly timid and largely nocturnal. 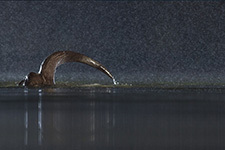 We have an otter visiting our Pond hide coming in most nights to get an easy meal. 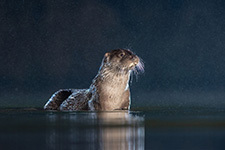 Sessions times** perhaps won’t suit everyone as they can come in at any point in the night but seeing the elusive otter at such close quarters completely oblivious to the spectator is quite the experience. 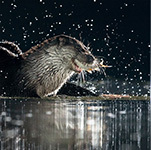 Flash* is used to expose the subject and continuos LED lighting is in place to aid in focusing. Alternatively subscribe to our newsletter to receive updates directly to your inbox. 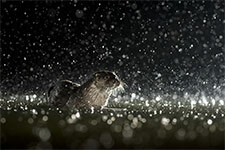 *Flashes are available to hire and come with tuition. Reserve a set at time of booking. 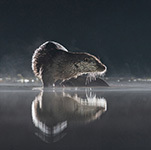 **As this species is largely nocturnal we recommend that you remain in the hide until the early hours to be sure you see all of the evenings activity.